I had a great time over the holidays, but am glad that things are getting back to normal. Before Christmas, Tara and I went up to Whidbey for a few days to relax and do some cooking and baking. Christmas Eve we had dinner at my parent’s place with the Farrells, which was even more fun this year now that Charlie is 2 and was excited about Christmas. Christmas Day we went to the fancy movie thither to see War Horse. Glad we had the comfy seats, because it was a long movie! For New Year’s Eve, I spent a long weekend in Cannon Beach with friends. We had the best time and it was not nearly enough time. . . wish we could have stayed a week! 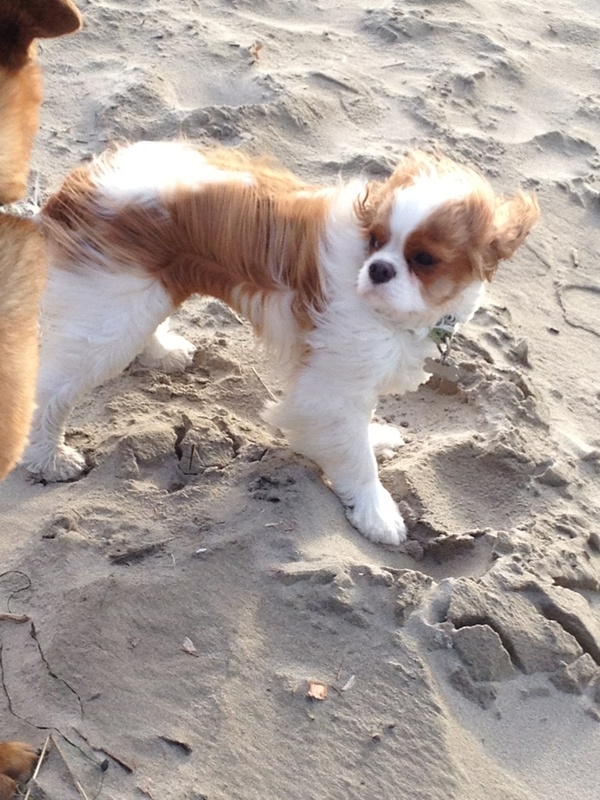 Finnegan, blowing in the wind! This week it’s back to regular life and I have infusion tomorrow. I’m glad to have a chance to rest, I feel like I can’t get enough sleep. I’m so tired all the time, and even the smallest things exhaust me. A few pajama days will make me feel better, I’m sure. Previous postMy First Train Ride!